For those of you that sometimes wish to escape big cities, pack up a few things and spend time in nature, this is exactly what Getaway is all about. 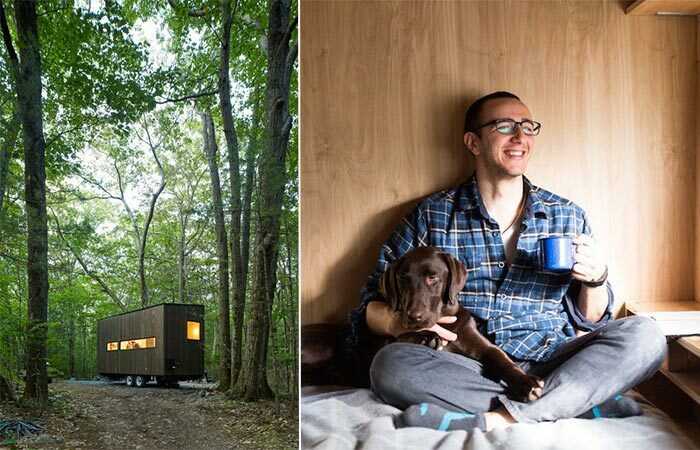 They organize perfect retreats in private tiny houses in the woods. What a way to refresh your daily routine! 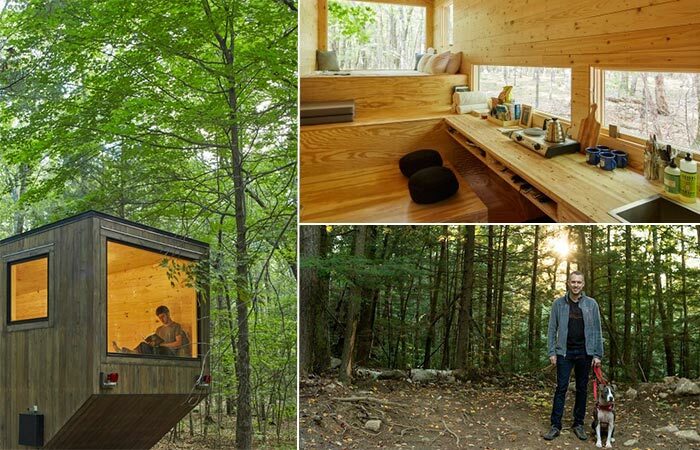 Getaway Tiny Cabins are located near Boston and New York, but they plan to expand to a few other cities. Well, to the woods near the cities would be more precise to say. The cabins are located less than two hours ride from the cities and they will make you forget all about the busy lifestyle, provide the ultimate recharge and reconnection with the outdoors. 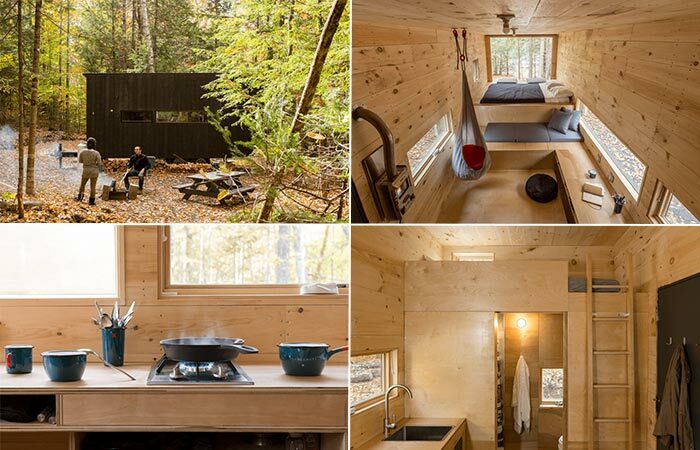 Maisie cabin near New York. 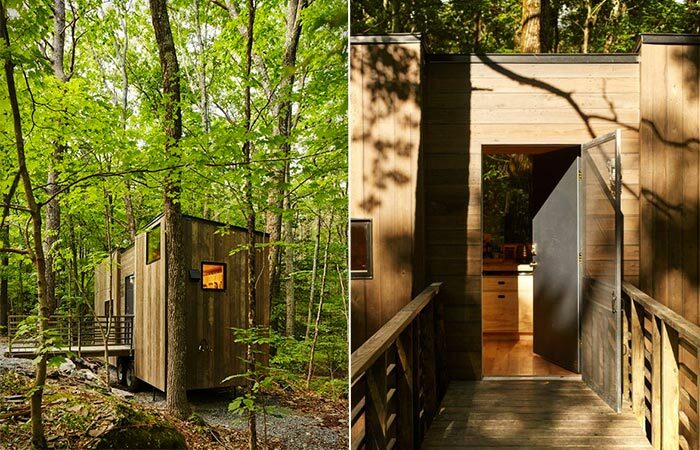 Near Boston, Getaway provides three different cabins- Ovida, Clara and Lorraine, each one with a unique design and modern amenities. As for New York, there are also three cabins- Maisie, Eleanor and Isidore. Whether you choose to go by yourself or have a group vacation, you’ll definitely find one that will suit your needs. Getaway Tiny Cabins are very comfortable and safe. They are surrounded with a natural and quiet setting. 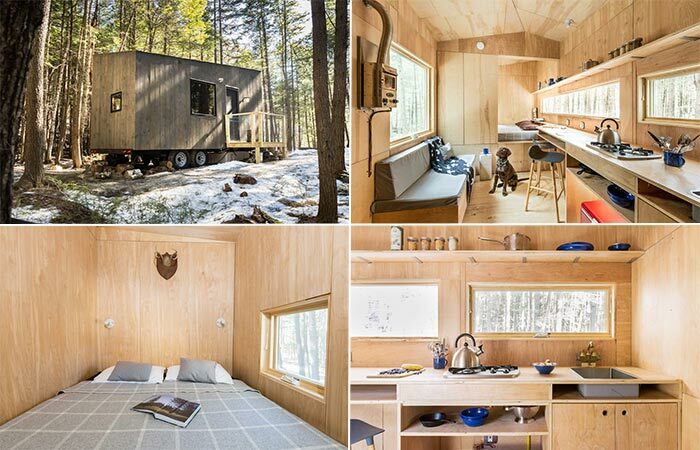 The cabins can fit 2-4 people and each one includes a propane stove, a nice toilet, shower, kitchen essentials, fresh linens and many other accessories. So, how does it works? Firstly, you book a cabin you like online and receive a navigation route that will bring you to the secret location of the cabin. Everyone gets a private access code you enter at the door, and the cabin is all yours. When booking, you can choose extras like fresh cut firewood, a prepared meal, or charcoal for the grill. If you need any information at all, there’s a help line available. 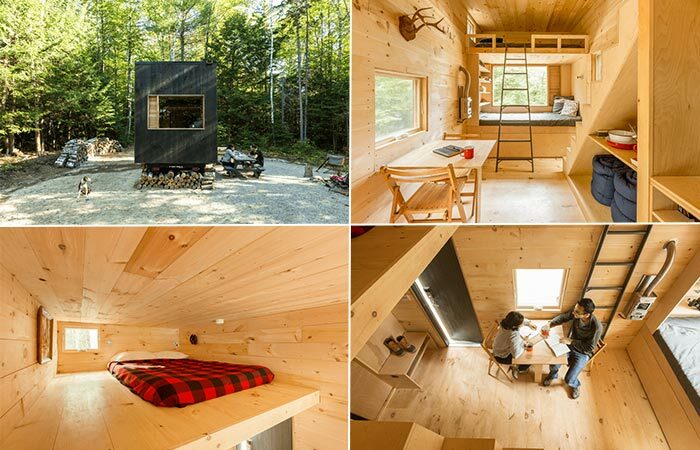 Isidore cabin near New York. Eleanor cabin near New York.